So I will be full honest with you guys just as I always am, I was sent this product(s) to review in sponsor – so that means that I will be getting paid for my review and time. In one (1) way or another I do get paid for the posts that you read. If you don’t want to read my work due to that fact then please head over to the website or visit a counter. Burberry beauty is very expensive to buy out of pocket but keep reading for money savings – of course I’ll hook you all up if I can. Burberry Cashmere foundation. Echoing the understated luxury of our made-in-Scotland cashmere scarves, the liquid foundation delivers a long-lasting, flawless complexion wrapped in cashmere-like comfort and comfort is definitely the word you would want to use when talking about this foundation and it’s infused with Burberry’s signature English blend of rosehip, tea, and lavender. It’s so buildable and blendable, the creamy texture melts on to the skin for a soft-matte finish thats lightweight and feels like a primer, it is weatherproof which is great for the summer months, and when I say waterproof I mean it goes no where last swimming I wanted the flawless coverage but I didn’t want to feel like I was wearing a mask so I quickly applied this to my face, when I came out of the water nothing on my face changed which was a huge plus. SIDE NOTE ➡️ yes this Burberry foundation is waterproof but I wouldn’t recommend going swimming in a pool or chemically treated water because it does make the foundation come off in a bit of a strange way so I would, uh, stick to fresh water. 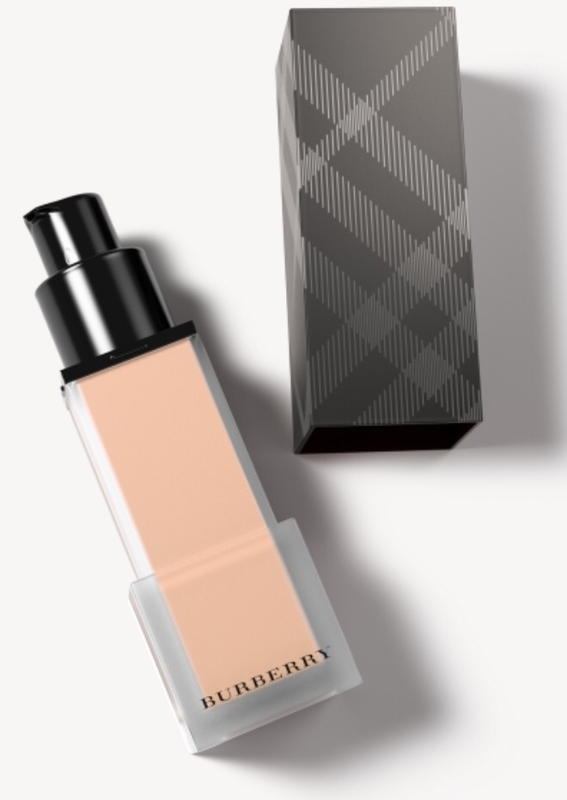 Burberry Cashmere foundation features SPF 20 to shield against the damaging effects of UVB rays but as we should know by now – you still want to carry a spray SPF with you because the SPF in foundation odds are will not even last your makeup routine. You can now get dry spray or setting sprays with SPF in them. DID YOU KNOW ➡️ the FDA approves companies to say on the bottle that there is SPF 100 when really after SPF 50 it doesn’t do anything, but there is really no way to prove this according to the FDA even though it has been proven – believe it or not studies have been done in the past month against sunscreen from so many brands and the one that came back the best and to stay the longest is the Walmart brand Equate, go figure. Burberry cashmere foundation comes in a 30ml pump bottle with the beautiful Burberry stitching across the lid which they are famous for and it was made in France, its elegant, sleek and masculine packaging that’s very mess proof – there is no annoying fragrance in fact it is fragrance free so again it opens the doors to a lot of customers with scent allergies and sensitive skin, it’s made without Parabens, Sulfates and Phthalates – it is also oil-free. The pump dispenses the perfect amount to do half of your face depending on your method of application – I would actually not recommend a primer for this foundation only a little under the eye area and around the nose, Burberry did a good job at creating this foundation it does not show off fine lines, pores or imperfections in anyway or in any light. Burberry Cashmere Concealer delivers a soft-matte flawless finish and long-lasting cashmere-like comfort as the foundation does. A little bit of a down side is you only get 2.5ml in each component but you truly do not need a lot so do you think it’s worth the price point? Burberry cashmere concealer is made in Italy not like the foundation, made in France. You will have six (6) colours too choose from a couple of them are pretty universal shades, I wish that there was more shades to choose from but I think Burberry knows who their target audience is. 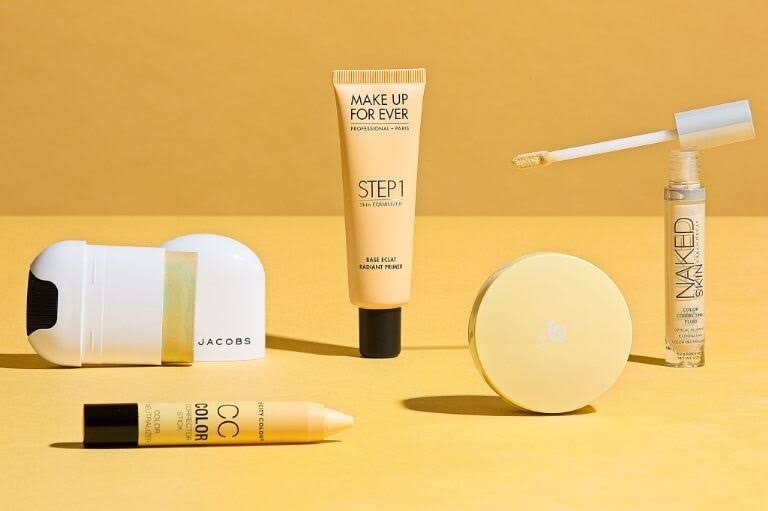 With its unique and effortless soft-fabric applicator, the creamy, full-coverage concealer effortlessly conceals imperfections and dark circles, it builds and blends with flawless, long-lasting results. I did a little test to see just how long wearing it was I applied it under just one eye after eye cream at night before I was going to sleep, I didn’t let it touch down to the pores but when I woke up, under my eye, well, it didn’t move. 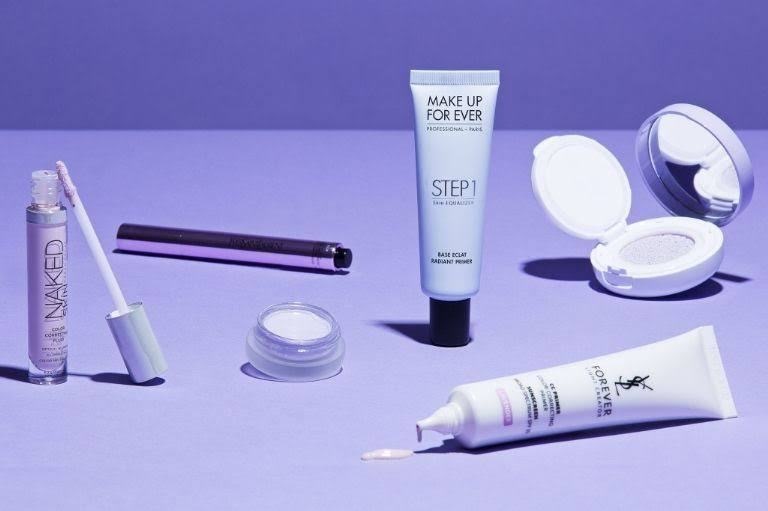 It looked flawless and actually looked like it improved with wear of the product which is really good I love when a company can create a product that actually starts to look better on the skin five (5) hours later – and that you don’t really have to touch up very much. The Burberry Cashmere Concealer is also very very hydrating which is really nice when applied under the eyes and areas where you find that you get a little more dry. PRO TIP ➡️ Summer road trip? Travel? You can pack only the Burberry Cashmere Concealer and use it as a foundation stick to bring life back into your skin. Just dot onto the face and the use the sponge ball applicator on the end to lightly buff into the skin. The packaging is pretty neat. Unfortunately, the puff isn’t removable if you wish to wash it. This could be a potential issue with bacteria so make sure you apply your cap onto it when finished. It’s a twist to release pen so twist the bottom and the concealer flows into the puff. You can swipe the puff under eyes or dab over imperfections and blend using a little blending bush I would still recommend a patting motion. Burberry Cashmere Compact delivers an instantly flawless complexion wrapped in cashmere-like comfort just like the other product in the line. You get 13g of product in each compact and they are refillable which is nice as long as you keep your compact in good condition and is made in the USA – The ultra-soft, full-coverage compact foundation conceals imperfections and unifies skin tone for a flawless complexion with a soft-matte finish and doesn’t move all day. It stays right in place which I love so much about the Burberry beauty. The weatherproof formula delivers all-day long-lasting wear without drying the skin yes this also claims to be waterproof but I don’t think the ingredient the used to make the liquid waterproof, had the same effect when added to a pressed powder formula. The soft sponge enhances application and effortlessly builds and blends the formula and it is double sided just like a lot of the sponges now a day but this sponge is different one side you apply the pressed foundation and then flip over the sponge and pat over areas that you thing you look a little cakey or powdery and it will take it away so in a couple of ways you won’t need a setting spray with this product. Available in six (6) shades to match all skin tones. Also contains Burberry’s signature blend of rosehip, tea and lavender. But again I can’t help but wish that there were more shades – I am not saying in anyway that you will have an issue finding a shade that it perfect for you because you will and it will look flawless. 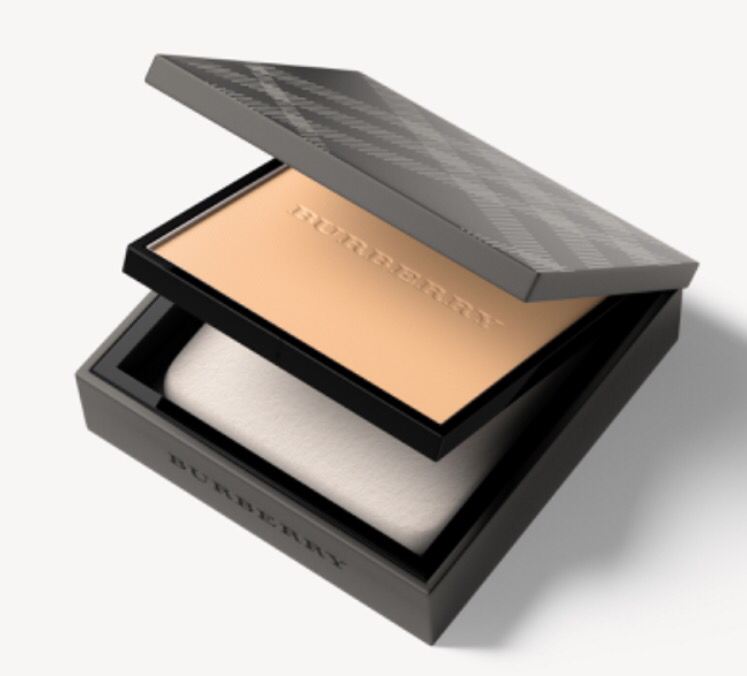 The Burberry Cashmere Compact foundation DOES come fragranced, it does smell really really nice – it’s 100% a unisex fragrance which is nice if you’re a dude who likes to apply a compact powder foundation and not go crazy with the makeup application. The scent is a natural scent also so it should be okay for anyone with sensitive skin or allergies. Like all Burberry products, the Burberry Cashmere Compact are packaged impeccably. The compacts are sturdy and emblazoned with the traditional Burberry print. Each compact is also embossed with the Burberry name. Overall the products are wonderful and completely worth the price – you can buy the in single or buy the complextion perfection. 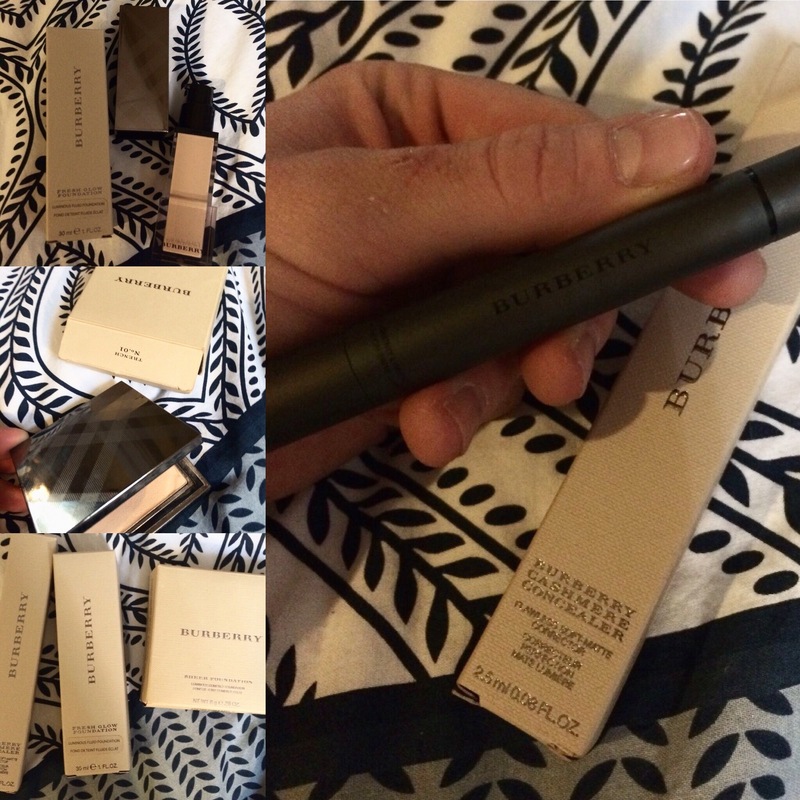 Each Burberry beauty product comes in a cashmere dust cloth as well. First off if you’re looking to buy any type of foundation or lip stick palette make sure it includes a WHITE shade now I’m sure you’re thinking white? Why white? Are we snorting something. “Anyone get some white” “wait wait wait yeah I do girl” *pulls out ABH lipstick palette.. no no having a colour white in your palette gives you the freedom to mix colours with the white shade to create your own colours. 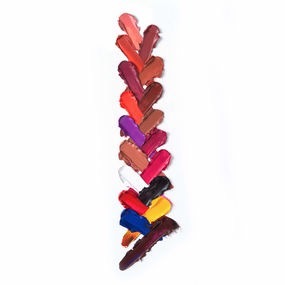 An eighteen (18) well professional lip palette with shades ranging from primaries and neutrals to bold brights. Use Anastasia Beverly Hills Lip Palette to create an endless array of lip looks by mixing and customizing highly pigmented, long-wearing matte shades. The finish of the lipsticks is absolutely beautiful. They are definitely matte, though not as matte as a bullet or liquid lipstick. Norvina definitely wasn’t overstating things when she claimed that these are extremely full coverage, you need the tiniest scrape to fill in an entire lip. I’m super picky about what lipsticks I wear, after having amassed a pretty sizeable collection. These are giving my M•A•C bullets a run for their money, so as you can guess, I’m absolutely impressed with how they look. In terms of wear time, I am similarly pleased. My best friend tested out shade one (1) yesterday for an entire day, and was quite impressed with both its wear time, and finish. (and so was I) While it was obviously not transfer-proof, it lasted a solid few hours, and only faded after she being her greasy ate half a pizza. Though reapplying is a huge drawback of this product, due to it being in a slightly larger palette. PRO TIP➡️ want a longer life with your lipstick if it transfers or is not a dry down liquid lip apply a lip liner first in that shade! Or in clear so it stays longer. This palette does a good job at bridging the gap between pro artistry and regular makeup users. 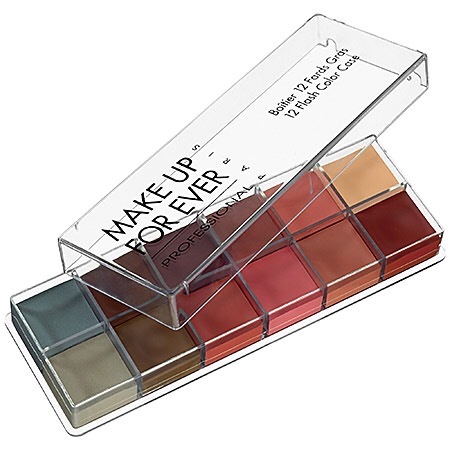 MAKE UP FOR EVERs iconic palette is a beauty arsenal must-have for professional makeup artists. Each thick, creamy formula flawlessly covers skin to create an array of looks for the eyes, cheeks, and lips. Featuring two shade harmonies, these multi-use palettes can be used for any level of artistry- from artistic and special effects, to contouring and foundation mixing. Achieve next-level makeup artistry with these signature palettes that are perfect for on set and in real life. There is also twelve (12) shades in this palette and there are two (2) different shade sets available. ➡️ I’m keeping this one short and sweet because you do need the MUFE pro card to buy these products online or in SEPHORA. 25 of smashbox top-rated Be Legendary Lipsticks – all in 1 palette. This collection of show-stopping, pigment-loaded creams was created in the L.A. photo studio to minimize the number of shades our pros stash in their kits. Lush, vibrant colors that saturate lips with one-swipe custom color. The photo above is the be legendary palette not in matte. The palette itself is gorgeous; all black, sleek and minimal. It has a huge mirror and the brush is very nice. Smashbox’s makeup brushes have good reviews, so I was glad they did include a brush in the palette. Now as far as the actual lipsticks, they are all amazing. They last and last and I think they added a little stain which I’m not mad about as a consumer so that if a bit does come off that you have that staying power of the stain which is nice. Both this palette and the matte palette can take you from day to night so easily. Listen given the amount of product given in all the palettes talked about it’s totally worth having in your makeup kit! This is the photo of the Be Legendary lip palette in MATTE just so you can see the color difference are – also I will say smashbox had a smashing party where this palette was called OUR LIPS ARE SEALED twenty five (25) year of smashbox lipstick and was just meant to be limited edition but thanks to some pushes from Lori head of global artistry – we got the suckers here to stay and in a matte formulation also. Pretty cool. NOTE ➡️ The image used in the headed image was shot by smashbox studios as a part of there liquid metals lips and set to me for us of this blog. Giveaway for 💥NEW💥 followers only, click the follow button and be entered in a chance to win a MacBook in gold – share the post and you’ll be entered x3 – in partnership with xtrememac! Sureeeee NARS is up there – there new NARS concealer which I was one of 15 to try, give my opinion and let NARS know picked over Jeffreestar who JUST got his hands on one – link below. 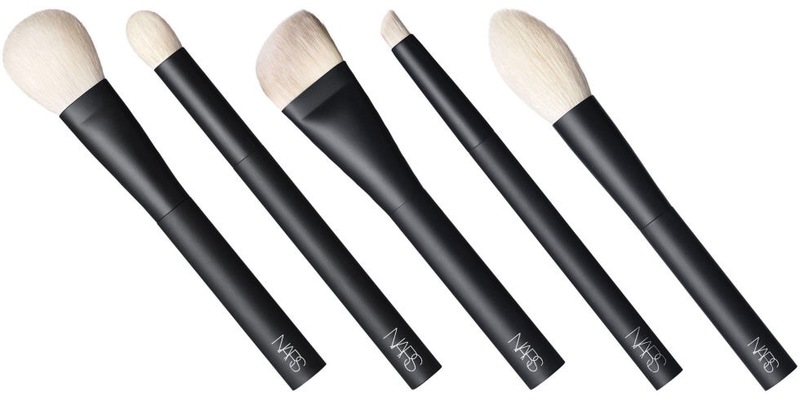 The brushes are good quality but I will be completely honest – the price point? NARS what the hell are you thinking..? What are you seeing that I am not. You know, I’m sorry I get that they are is hand-bound in Japan with rarified craftsmanship, and expertly shaped for advanced makeup artistry. They are made from distinctive natural fibers for plush, refined application that builds and blends with extreme ease. 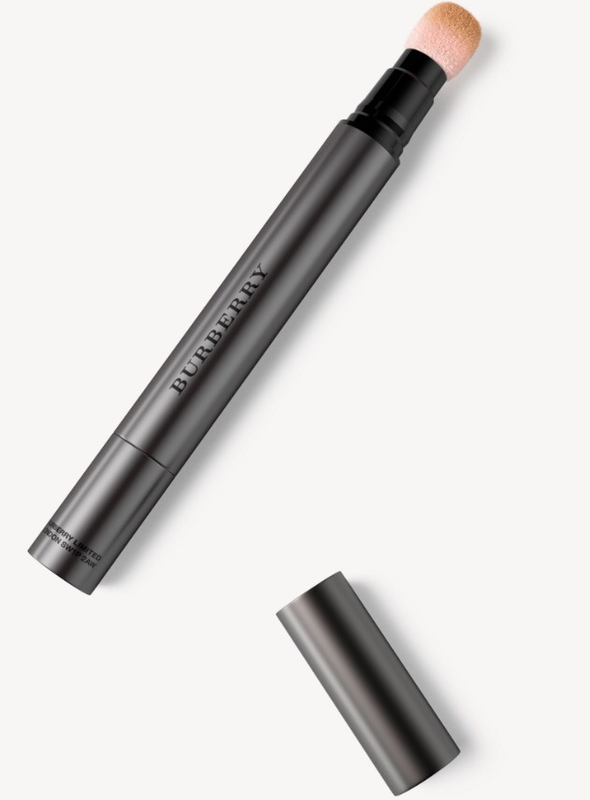 I can say they are good but blendSMART with the concealer and full-cover attachment heads are just, better, sorry NARS I think that you massively missed the mark of this if you only launched before Armani we might have a game changer. 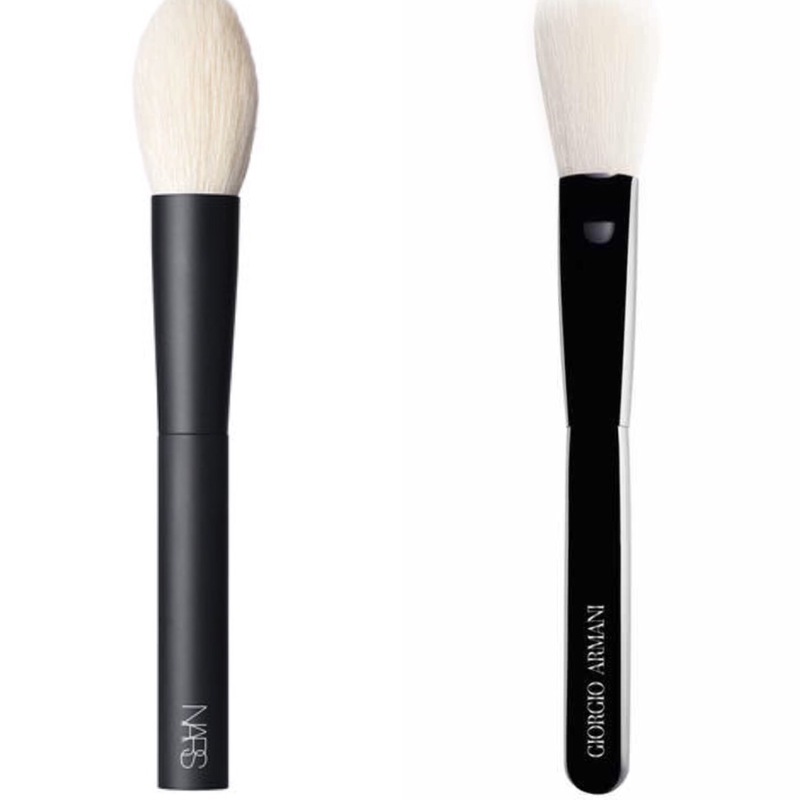 The NARS #23 brush I bought with my own money that’s how badly I wanted this bad boy and since I use it every day kinda like a extra blending and eraser brush or to brush HOURGLASS liquid – powder foundation into my cheeks, chin and forehead. 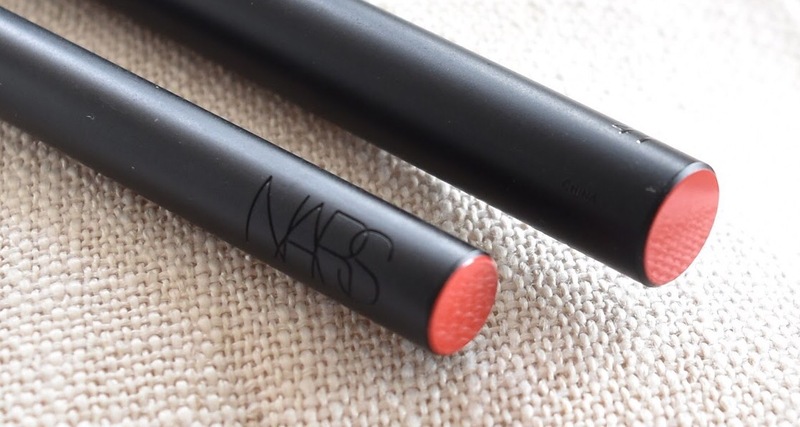 I am also going to talk about the the Charlotte Gainsbourg x NARS Collection the iconic chanteuse’s signature style through François Nars’ vision of beauty. Now these brushes are freaking BEAUTIFUL and amazing and when you pull them out clients will love the experience and if you’re just buying them for you it will amp up your makeup application. EASE OF EXPERTISE. Expertly swirl, powder, shade, line, and define your own effortless style. Experience a luxurious makeup ritual with this complete, limited-edition makeup brush set inspired by Charlotte Gainsbourg’s story and signature style. A deluxe faux leather brush roll adorned with gold accents holds five full-size makeup brushes, each with their own uniquely faceted handle. Includes an Eye Blending Brush, Eyeshadow Brush, Concealer Brush, Face Brush, and Face Highlighting Brush. SIDE NOTE ➡️ this is a NARS online exclusive / not available in stores like SEPHORA but some NARS boutiques will have the collection collective. ➡️ being honest guys go buy a BLENDSMART with the attachment heads and it will be all you need for completely control and complete flawless base and complexion. SO ➡️ Discovering your ideal brow shape is a face-changer that not only defines your eyes, but also frames the entire face. It’s a stunning transformation to have a perfectly shaped(or groomed)brow. If you’re unsure about where to start or are intimidated by taking matters into your own hands, this post might be perfect for you. Whether your brows are in need of some grooming, tweezing or filling in, consider my insight and tips and tricks how to masterfully shape your brows. Taking care of your eyebrows male or female is really important this of it this way as I’ve tried to explain your eyebrows are like the frame to your face (just like teeth) and what is a picture with out a cool frame? For filling in your eyebrows with makeup for more definition is even cool to do even with the evolution of makeup and now so much more men are wearing it or at least admitting it – there is a difference to applying makeup -specifically your eyebrows. Don’t make mistakes and make sure you blend it out properly. Something that I do is take two colors close to each other (light brown – brown) and with the light brown I will fill in the front of the brow to the natural arch then take the brown and 2/3 over the light brown to the end of the eyebrow then with a eyebrow brush or a spoolie and blend through make sure you focus a little more when the light brown meets the brown to create a really cool ombré eyebrow but in a more mature way. ➡️ remember soft feather like strokes it’s not like your jerking off yourself or your boyfriend. Because if you don’t prepare for the outcome in both cases you can end up with a mess. As makeup evolves some companies are trying new things which a lot the inspiration comes from the runway for example – gloss brows – matte brows – highlighted brows. And these are available through smashbox and I was lucky to be one of the five to launch them last year. Once you have your eyebrows tinted they will look a lot more full but you can still apply either a tinted brow-gel or just clear, to help keep shape. Typically you can ask for them to pluck the stray hairs that have not been tinted, and they sell there razor type tools to remove hair on your face or just smaller sections – that’s what I used on the top of my brows to clean up the hair and give them a good masculine shape. GUYS ➡️ DO NOT go over board with plucking or shaping do not give yourself massive arches, keep your brows looking clean and nice – if you have dark brows, brush the hairs completely up (with a spoolie) and then cut the long hairs so that they don’t look a mess. Once you do the steps to have your brows looking on point you should always keep them looking good just by making sure on the bottom you pluck away the proper hairs and in the top you shape away hair that grows back or between your brows. The ideal shape is when the beginning of the brow is aligned with the center of the nostril and the arch falls over the back third of the eye. WTF WEDNESDAY : want to review product and better yet be paid for your opinion? Be carful. Cosmetics and beauty ➡️ AERIN, BECCA, Bobbi Brown, Kilian, Clinique, Too Faced, Darphin, Estée Lauder, Frederic Malle, GLAMGLOW, La Mer, Lab Series, M∙A∙C, Origins, Prescriptives, Smashbox, Michael Kors Beauty, Tom Ford and HOURGLASS. Fragrance ➡️ Aramis, DKNY Fragrances, Donna Karan New York, Editions de Parfums Frédéric Malle, Ermenegildo Zegna Perfumes, Jo Malone London, Tom Ford, Kiton, Le Labo, RODIN olio lusso, Tommy Hilfiger Toiletries and Tory Burch Beauty. Cosmetics and beauty ➡️ Lancôme, YSL beauty, Giorgio Armani beauty, Biotherm, Coacharel, Diesel, Viktor and Rolf, Ralf Lauren, Kiehls, The body shop, Shu Uemura, Clearisonic, Guy Laroche, Paloma Picasso, Urban Decay, Yue Sai, Helena Rubinstein, L’Oréal Paris, Maybelline, NYX, Essie, Garner, VICHY, La Roche Posay and Dermablend. 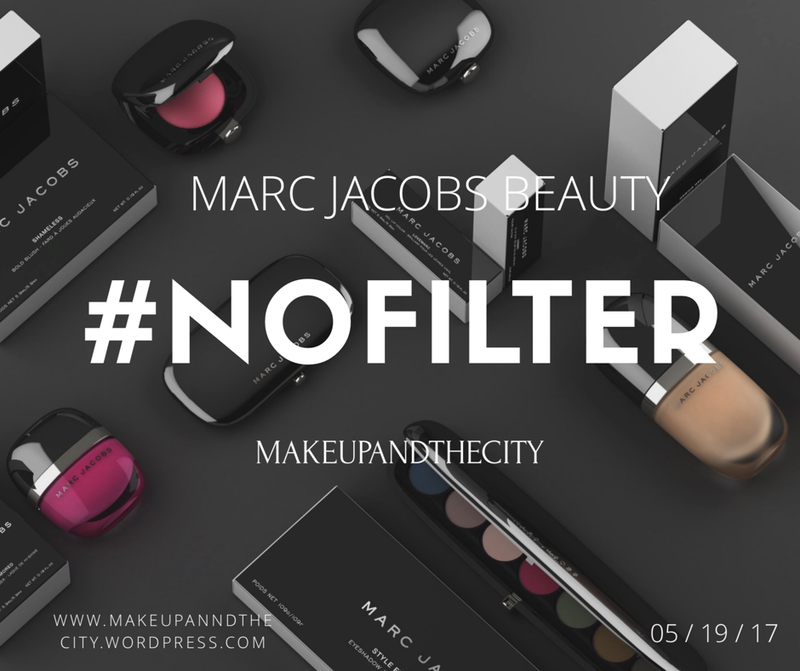 Cosmetics and beauty ➡️ Sephora beauty, Kat Von D beauty, Marc Jacobs beauty, Frontcover, Too Faced, Urban Decay (licensed), Formula X, Beauty Blender, NARS and STARSKIN. MAKE UP FORVER, Dior, Guerlain, GIVENCHY, benefit cosmetics and major fragrance haus. Now that we got the companies and what they own covered be careful about what you say about one of the brands because they are all connected and linked, there are people who search social media to look for negative comments about brands and take note of the name, date, time posted and the actual comment – yes when you get in good with the four main beauty companies reviews are always honest and they don’t hold that against you for a product not working out for you (in fact most companies will pay you more for reviewing and testing a product that you didn’t enjoy for ‘time wasted’) there is always a contact us button with a email which will either be info@ or pr@ and you can introduce yourself that way but makeup you have the back up if your asking for hundreds of thousands of dollars of press samples on top of being paid. 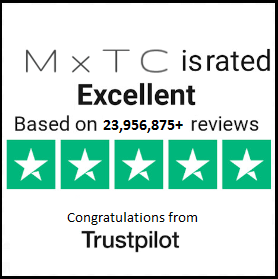 This e-mail is intended only for the addressee(s) and may contain confidential information. If you are not the intended recipient,you are hereby notified that the use of this information ordissemination, distribution or copying of this e-mail is strictlyprohibited. If you have received this e-mail in error, please notify the sender immediately by return e-mail and delete the original message. Unauthorized distribution of this e-mail may result in court action. ➡️ code of conduct which you don’t have to add but it’s important to read so you understand what can happen if you lie, give false information, miss a deadline or talk about personal company information. Some things are meant to stay private for a reason. ➡️ You do not have to but I am always honest if I’m being sponsored to give my opinion just so that my viewers know, although being completely me and honest with the review not everyone like the fact of partnership with different brands or being set products for thousands of dollars and still being paid for your opinion but what a lot of people don’t understand is the amount of time it takes to get to a status I have with these companies and the networking, starting out doing things for free and making my way up the ladder. Don’t expect to have the door open for you, im just giving you a couple ways to get your foot in the door and information you should know – also if you reach out to a brand make sure you know the brand and know the history of the brand and how they started, where they started and what they offer. Make sure that you blog is found on google under relevant search terms. When you post about a product or brand, use keywords in your post title and when naming a image. PR sometimes find blogs by googling for bloggers already writing about the brand they’re working on, or sometimes they’ll look for people blogging about the brand’s direct competition. Ask to be added to mailing lists for press releases / respond to a press releases that are offering a sample by explaining how you would review the product. TIP ➡️ BE PROFESSIONAL! NETWORK! EARN TRUST. Always ask for a WeTransfer when shipped products so you can have press information about the sent products. If you don’t know WeTransfer I would google it. COLOR CORRECTION : HOW and WHY? A lot of people who are new to makeup or do consider themselves to have a knowledge of makeup and makeup application might find a palette filled with all this colors to be a bit scary and they can be a bit pricey – so take a look at your bare skin and take a look and see if you have dark circles under the eyes that your concealer alone can’t tackle or half way through the day, you seem to see the lack of sleep creeping back up – cancel it out by lightly applying and orange base before applying your concealer. Anywhere you see some redness, around the nose, post imperfections or even on your water line if you wake up tired or well, hung over but need to look dynamite apply the green shade! And then your normal routine on top of that. If you have fair skin, you’ll most likely be using the palest colors of the shade range when it comes to pinks, yellows, greens, and purples. 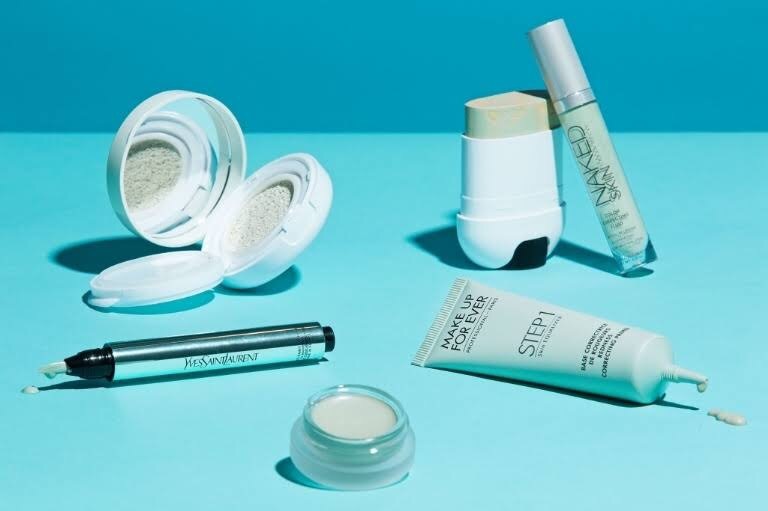 If you have medium to olive skin, the color-correcting shades will also most likely be a touch darker than the pastel versions that, say, fair-skinned guys and girls would use. And for deeper skin tones, a darker-skinned person would use a more orangey peach hue not just orange mix and max to create the shade you need; the same rule goes for the greens, yellows, and purples. I will also say some people do apply foundation or tinted moisturizer first and then apply color correction. Of course if you feel you only need one or two of the color correctors and not a full palette (which I promise you is the better investment for your hard earned money) I’ll show you some single products in the from drug store to high end. Don’t forget if your on a budget or saving up there are brands like NYX, E.L.F, and LA GIRL. Color-correcting isn’t for everyone. If you’re happy with the job your makeup does now, you don’t really need to mess with this whole thing but it’s a very good things to learn for just in case – the only people who might want to use the strategy daily are those who are bothered by their skin discoloration or if you want to have a perfect complexion. For everyone else, it’s one of those things you can save for life’s most photograph-worthy moments. DON’T ➡️ Using color correction to change the undertone of your skin it is outdated and looks bizarre if done wrong and most of the time – it is. Now a days it’s so easy to figure out your base shade and work with it. Be happy in the skin you’re in. 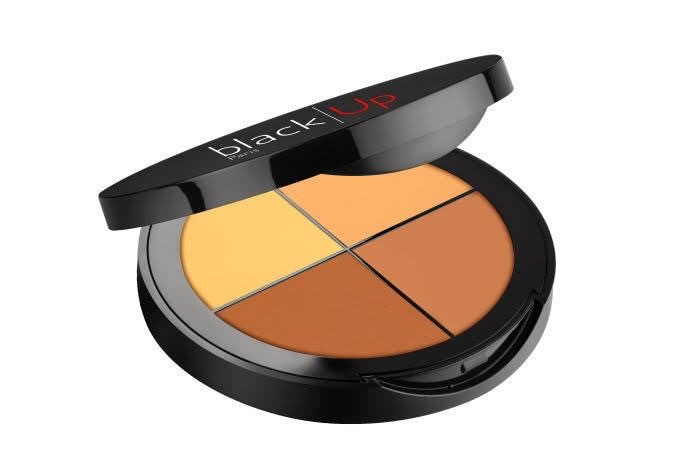 For Dark to African American there is a brand called BLACK | UP the palette contains concealers and color correctors to brighten darkness and smooth scars and flaws without making the complexion look washed out. The red shade in the one I had (there are three versions) was impressive – it made patchy areas around her mouth and eyes completely disappear under concealer. 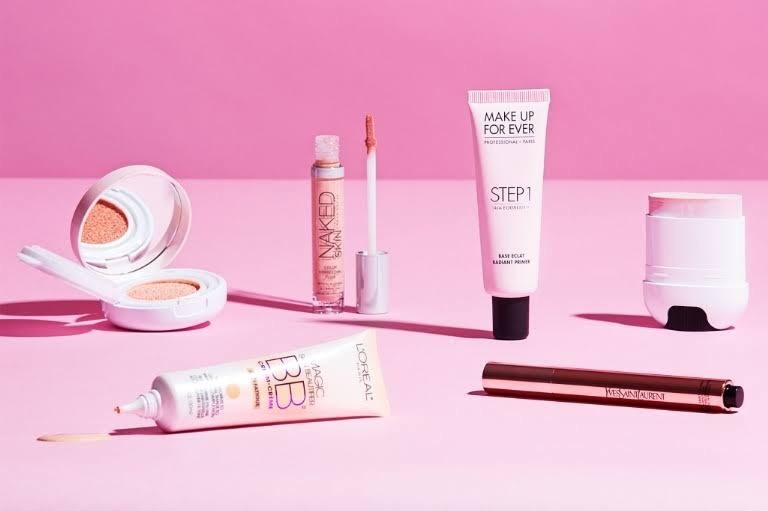 The popular Paris-based makeup line officially debuted in the USA in the fall, but now that it’s easily available here, you can expect to hear a lot more about it I bet in the future (it also makes me happy to see brands coming out for makeup specifically for Dark – African American skin tones! We are not all the same color, undertone or have the same skin needs. We are all unique and different and companies need to start to realize that because it makes me sad to see a company release thirty-five shades and the darkest it goes it to medium-tan.. really? BLACK | UP is available on sephora.com now. ➡️ DON’T forget to set!